Maryland Democratic Gubernatorial Nominee Ben Jealous put his ignorance of Maryland State Government on full display Sunday. Of course, the problem is that Maryland doesn’t have a state supreme court. Our highest court is the Maryland Court of Appeals, something that anybody who knows how to use Google can figure out in thirty seconds. But Ben Jealous isn’t running for Governor of California. He’s running for Governor of Maryland. And Ben Jealous can’t even be bothered to know what the name of our state’s highest court is. 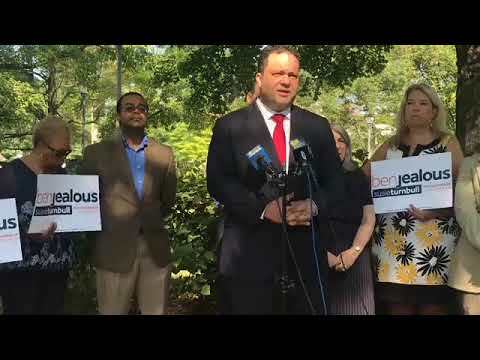 Mike Miller said that Ben Jealous “has a long way to go.” And it’s very clear that he’s right. If Ben Jealous can’t be bothered to know what the name of Maryland’s highest court is, what other important functions of Maryland government does he know nothing about? Is Ben Jealous so clueless about Maryland and Maryland state government that he would literally need hand-holding in order to keep the lights on? 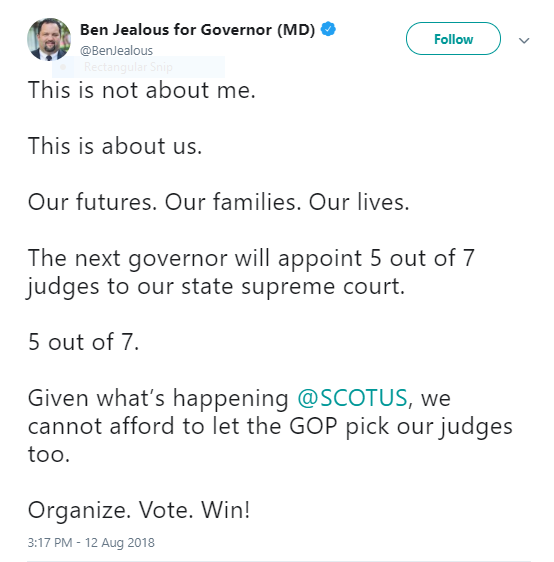 Ben Jealous did himself no favors with his flippant tweet showing his ignorance about state government. While Maryland certainly can’t afford to take a risk on Ben Jealous and his socialist policies, Maryland also can’t afford to take a risk on Ben Jealous and his total ignorance of state government.